If you heard that you would be getting discounts off your merchandise purchase, it is not an April Fool's joke! 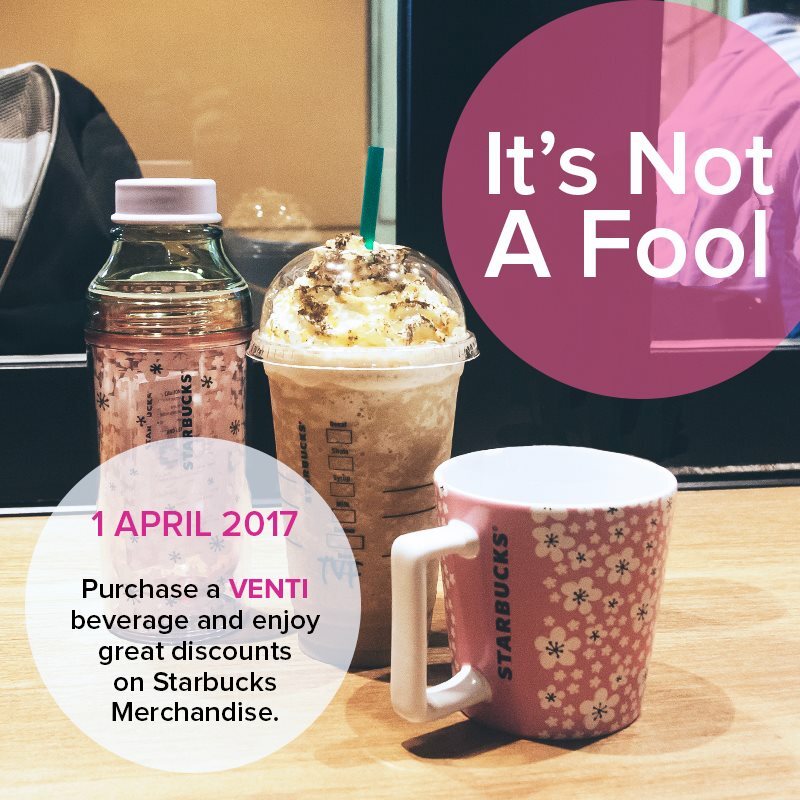 Tomorrow, when you purchase a VENTI beverage, you can get your Starbucks Merchandise up to 50% off! 50% off on 3 or more merchandises. Applicable at all Starbucks stores except Genting Highlands and Sunway Lagoon Kiosk. Maximum 5 merchandises per transaction. It is only limited to one customer per transaction. Applicable to all Starbucks merchandises except for Reserve merchandise. Only applicable on the 1st of April 2017.